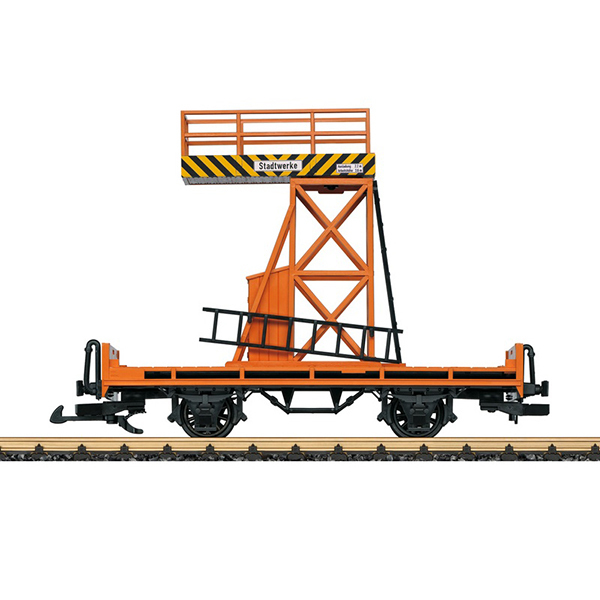 Product: This is a model of a platform car as used on many small railroads or streetcar lines for maintenance work on catenary or construction sites. The paint scheme and lettering are borrowed from appropriate Era IV units. A platform that can be rotated is installed on the frame. Length over the buffers 30 cm / 11-13/16".